Donations are the life blood of St. Bernard Abbey and Preparatory School. Without the kind and generous support that is received, St. Bernard would be unable to continue the mission of educating young men and women in the Benedictine tradition. All funds raised go directly to assisting the Abbey and School in a variety of ways. St Bernard conducts an Annual Appeal as well as a Summer Appeal. These appeals help with campus upkeep, beautification, and necessary renovations. Donors can also choose to contribute to the St. Bernard Preparatory Educational Foundation; contributions to this foundation help defray the costs associated with attending boarding school for students who are in financial need. Finally, St Bernard offers the Clairvaux Society. 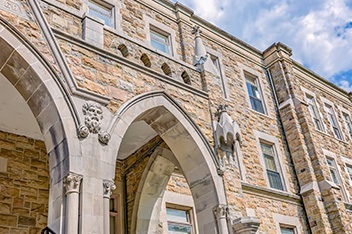 The Clairvaux Society is made up of donors who have pledged contributions to the Abbey and Preparatory School through wills, planned gifts, or estate plans. A contribution made to any of these specific campaigns or foundations has a direct impact on the future growth and success of St. Bernard Abbey and Preparatory School. St. Bernard also accepts one time or recurring donations in any amount. St. Bernard is blessed by the support and contributions that it has received and looks forward to being able to continue to serve long into the future.